A classical painting attributed to Ming painter Qiu Ying (Chinese, 1494-1552), depicting a palace courtyard and monumental at 6 feet 7 inches tall by 21 feet 3 inches wide (in the frame), sold for $112,500 at a Spring Salon Auction held March 25-26 by Ahlers & Ogletree in Atlanta, Ga. Also, a pair of Chinese huanghuali hardwood side tables made in the first half of the 20th century brought $26,550; and an 18kt yellow gold and diamond ladies’ Rolex wristwatch went for $7,865. Prices include the buyer’s premium. 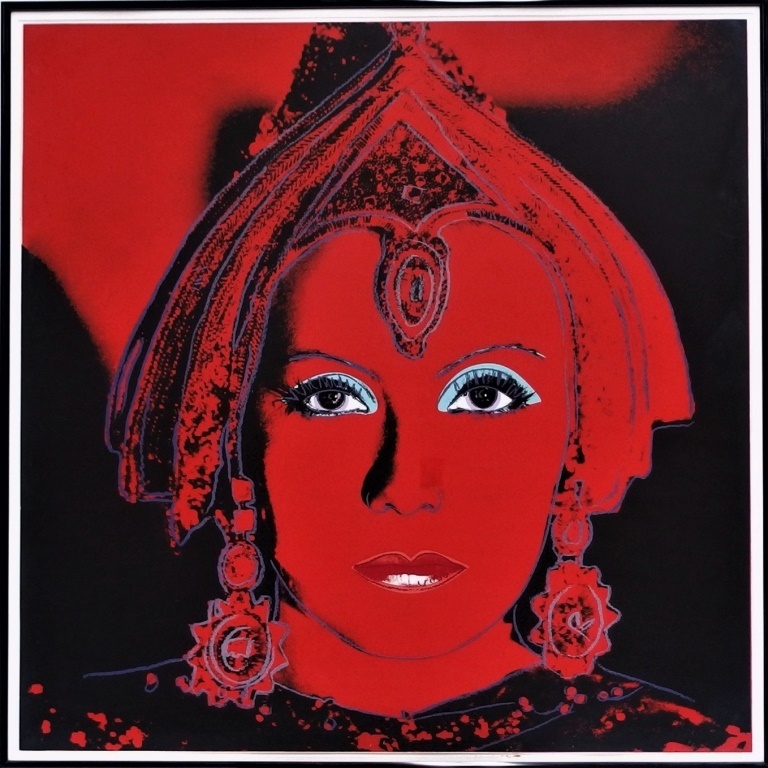 Andy Warhol screenprint, $52,000, Bruneau & Co.
An original screenprint depiction of the screen legend Greta Garbo as legendary spy Mata Hari by the iconic pop artist Andy Warhol sold for $52,000 at a Spring Antiques & Fine Arts Auction held March 25th by Bruneau & Co. Auctioneers in Cranston, R.I. Also, a fine pastel and oil on paper by Miguel Martinez (Mex., b. 1951), titled Woman from Velarde, New Mexico went for $8,125; and a limited lithograph (91/200) by Pablo Picasso, signed and dated (“21.4.60”) rose to $4,065. Prices include a 25 percent buyer’s premium. 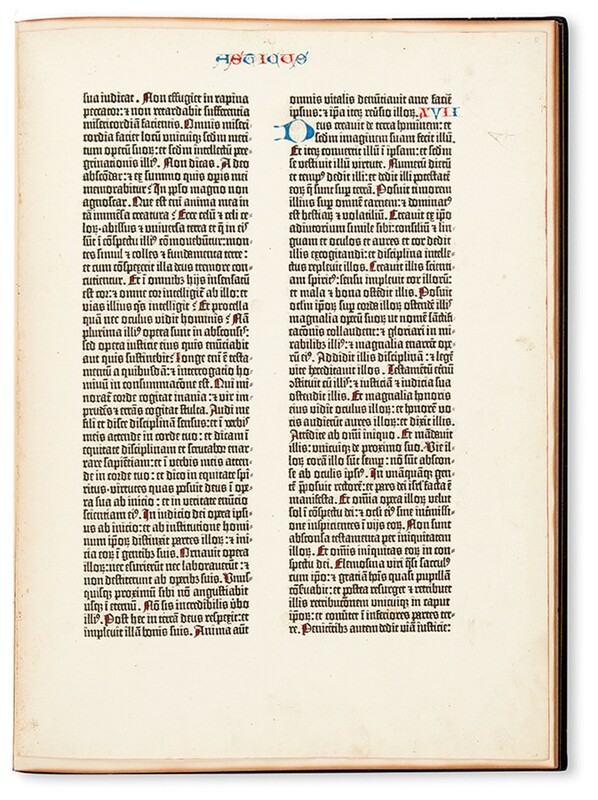 A leaf of the Gutenberg Bible from Newton’s A Noble Fragment (Maintz, 1455), sold for $52,500 at a sale of Early Printed Medical, Scientific & Travel Books held March 9th by Swann Galleries in New York City. Also, a first edition of the Geneva bible, in English (1560), realized $22,500; a first-edition copy of John Milton’s Paradise Lost (London, 1668) garnered $22,500; and a copy of Sir Philip Sidney’s The Contesse of Pembrokes Arcadia (London, 1598) hammered for $16,250. Prices include the buyer’s premium. 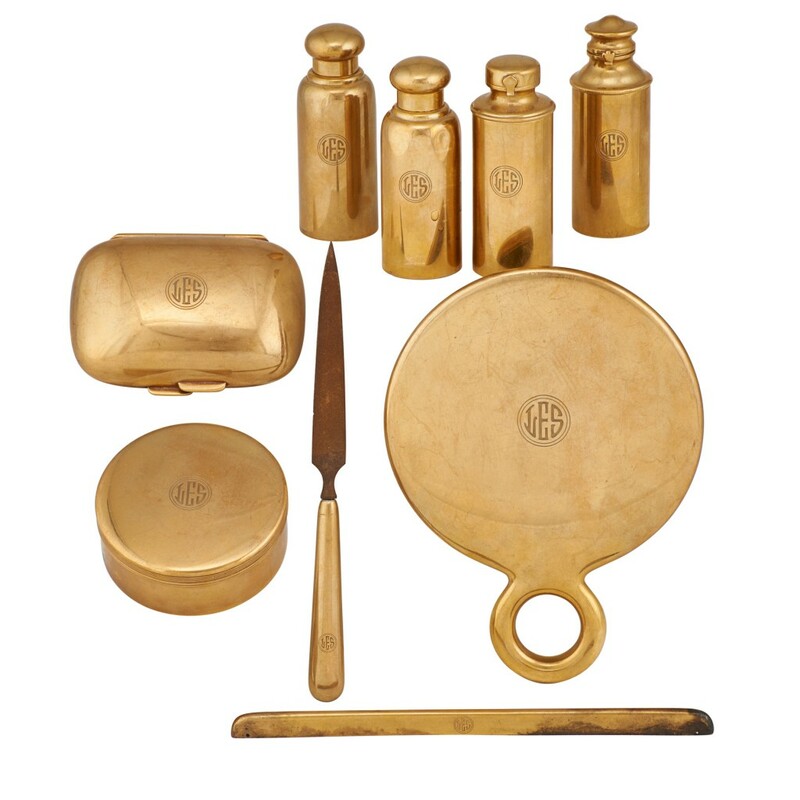 A Tiffany & Company 18kt gold dresser set once owned by pop art icon Andy Warhol sold for $21,250 at a Great Estates Auction held March 17-18 by Rago Arts & Auction Center in Lambertville, N.J. Also, five very fine Mintons pate-sur-pate plaques by Louis Solon went for a combined $67,500; a Tiffany English King sterling silver flatware set fetched $13,750; a marble sculpture of Cupid and Psyche went for $18,750; and a pair of Chinese cloisonné elephants rose to $11,250. Prices include the buyer’s premium. 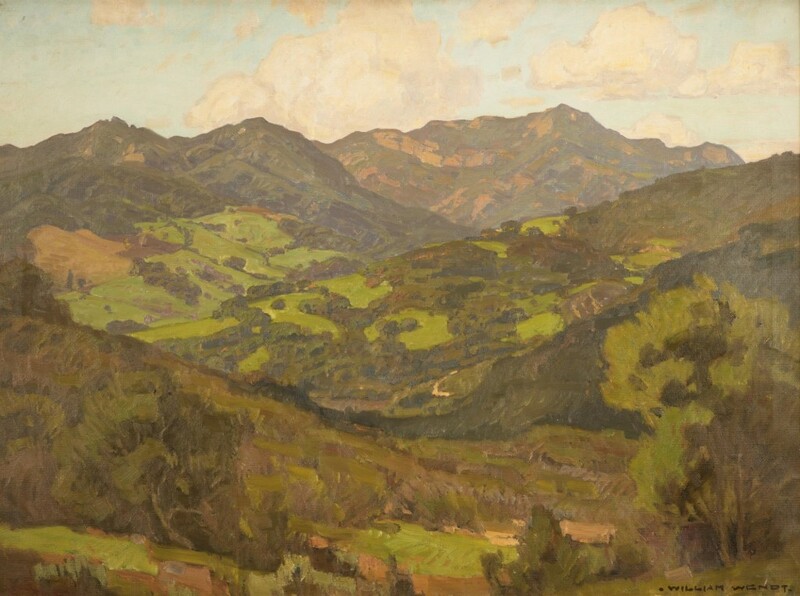 An impressionist Malibu landscape painting by William Wendt (Calif., 1865-1946), titled Converging Fields, sold for $72,000 at a California & American Fine Art Auction held March 21st by John Moran Auctioneers in Monrovia, Calif. Also, Arctic Night Dog Team by Theodore Roosevelt Lambert (Alaska, 1905-1960) hit $39,000; Conjugation by R. Kenton Nelson (Calif., b. 1954) brought $36,000; and a painting by Emil Kosa, Jr. (Calif., 1903-1968) changed hands for $18,000. Prices include a 20 percent buyer’s premium.